Visit Ferris Lane Animal Hospital in Barrie! Your local veterinarian in Barrie Ontario. We are closed the 4th Thursday of every month from 1 – 2:30 for continuing education/meetings. Ferris Lane Animal Hospital would like to thank YOU for choosing us to be your Top Veterinary Clinic in Barrie! 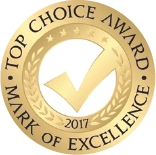 For more information, visit Top Choice Awards. We are a companion animal hospital that cares for dogs, cats and many exotic species. We have been providing compassionate and quality care for pets since 1978. Our promise to you is to be advocates of your pet’s health and well-being by offering the best medical care possible in a compassionate manner. We will strive at all times to deliver veterinary care that is individually tailored to the varying needs and circumstances of both our patients and their owners. We are happy to book an appointment for you! Quickly and easily schedule an appointment using our online form, that is convenient for you and your pet. We strive to involve our clients as much as possible in the treatment process of their pet. This includes helping you to make informed choices with regard to treatment for specific diseases or illnesses, offering assistance and resources with difficult decisions that may arise and hoping that in the end, we exceed your expectations of us. We are currently not booking new bird or reptile clients due to overwhelming demand. Get to know the doctors and staff at Ferris Lane Animal Hospital. We have a dedicated team of professionals who take the care of your furry family member seriously. Ferris Lane Animal Hospital offers a wide range of veterinary services for pets in Barrie. If you’re ready to see our expert veterinary team, call us today at 705-726-2322 .